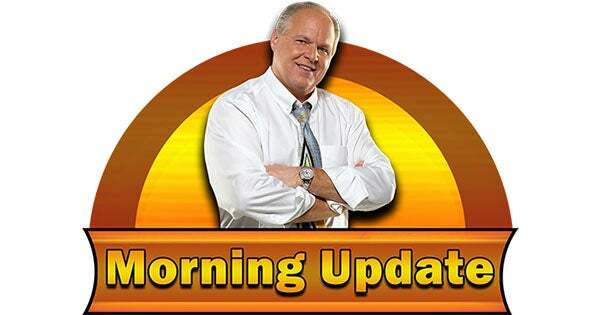 RUSH: A few weeks ago, New York lawmakers gave themselves a huge standing ovation as they passed the so-called “Reproductive Health Act.” Governor Andrew Cuomo was among the overjoyed liberals as New York State legalized aborting babies until the moment of birth, for any reason at all. One World Trade Center was lit up with pink lights in celebration. One thing making progressives happy is a ban on plastic bags. Plus, they’re sticking it to the rich with a “Mansion Tax,” punishing people for buying and owning expensive homes. They also came up with a tax that will hurt people in all economic groups. Everybody driving into Manhattan and lower Manhattan will be hit with a “congestion” tax: 10 dollars a pop. If you go below 60th, you’re gonna pay for it. So, New York liberals aren’t satisfied with just making babies’ lives unlivable, they want everybody else to feel the pain, too. My question is: Why would anyone stay in that state who can afford to leave? Because the trends here, they’re going to take everything you’ve got until you do leave.